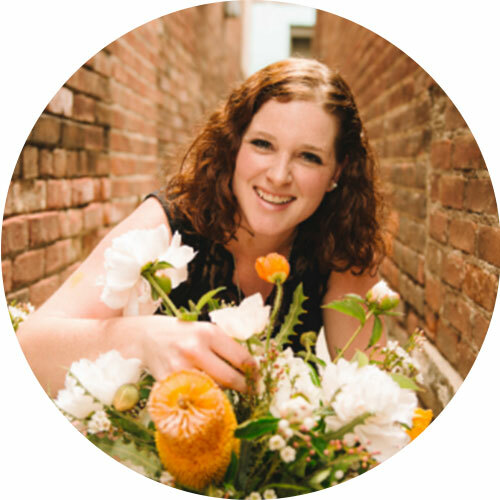 Whether you want to know if starting your own floral design business is right for you or you've been in the business 20 years and need an expert to bounce ideas off of, I'm here to help! Sometimes we just need someone to verbally process with, right?! Someone who has been through the struggles and understands. Our spouses are wonderful and our friends are great, but they just don't understand the struggles of this owning your own floral business gig. This journey can often feel lonely. Well not anymore. I'm here. Whether you need a strategy call or just someone to listen. Our meeting was everything I expected and even more. It would be impossible to count all the ways that Jessica has helped me. You have taught me to stand my ground and have the kind of career that I can be proud of. The knowledge Jessica gives helps build business structures, processes, boundaries, and goals to become the success Zimmerman Events is; while holding your hand through the process. I was able to grow and began paying myself - which is always the hardest thing to do! See where Jessica will be next or hire her for your next event.